Currently, the berth availability status, ticket checking and charts are maintained manually by the TTE and for this, he has to carry sheaves of paper reservation charts. Good news for waitlisted passengers. 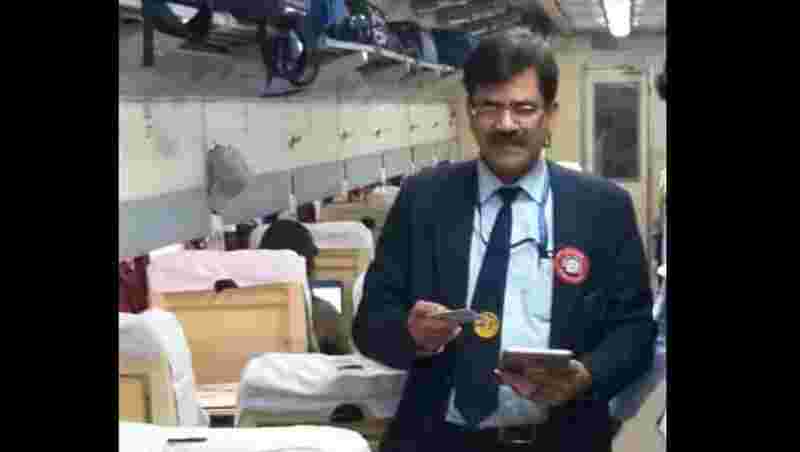 Indian Railways has started providing their Train Ticket Examiners (TTE) with hand-held terminals (HHT) to check & inform reservation status instantly to passengers and also to the next station on a running train. Currently, the berth availability status, ticket checking and charts are maintained manually by the TTE and for this, he has to carry sheaves of paper reservation charts, and refer to them each time they check a passenger ticket or allot a berth on the train. With the introduction of hand-held devices, the paperwork gets eliminated and real-time berth availability status is made available to all enroute stations with the operation of the HHT system. Delhi Division has received a total of 180 HHT sets. "The HHT system has already been provided to TTEs on five Shatabdi Exp. (12039/12040 Kathgodam Shatabdi, 12037/12038 Ludhiana Shatabdi, 12029/12030 Amritsar Shatabdi, 12017/12018 Dehradun Shatabdi & 12050/12049 Gatimaan Exp.) and two Rajdhani Exp. (12434/12433 Chennai Rajdhani Express & 22414/22413 Goa Rajdhani Exp.) trains to begin with and shall be implemented in all the trains progressively," said the railways in a statement. R N Singh, Divisional Railway Manager, Delhi said that this system will enhance the transparency in berth allotment besides being environment-friendly as tonnes of paper currently being used for printing reservation chart will be saved with this facility. "This system will improve the passenger reservation system by providing confirmation to persons having a ticket in waiting list while on the running train and sending instant accommodation availability status to all stations. This IT initiative will also help to expedite finalisation of refund claims," said Singh. Since the device will enable live updation of the passenger data, this will make refunds faster. At present, a refund is processed only after the TTE submits its chart report once the journey is over.